Small cup and saucer. 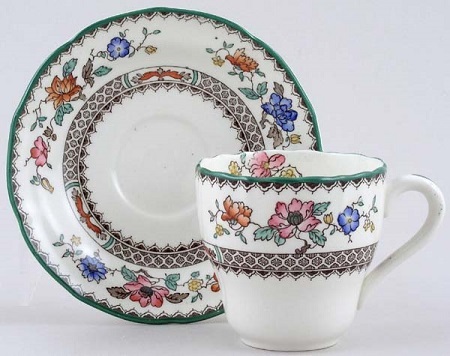 Backstamp: Brown printed Copeland late Spode Rd No 629599 Chinese Rose England. Minor signs of wear mainly to the handle and tiny smudge inside the cup, overall excellent condition. Saucer has light crazing.